John and Valarie Schenken created the Sidney Helen Holmgreen Endowed Opportunity Award (EOA) named after John’s late grandmother, Sidney Holmgreen, to honor the impact she and the rest of his grandparents had on his life. John Schenken ’98 recalls his family gatherings fondly, reminiscing on holidays when crowds of his extended relatives and close friends converged at his grandparents’ house. Thanksgiving meant John would help his grandmother prepare two turkeys just to feed the masses. “Growing up, all four of my grandparents greatly impacted my life,” John said. 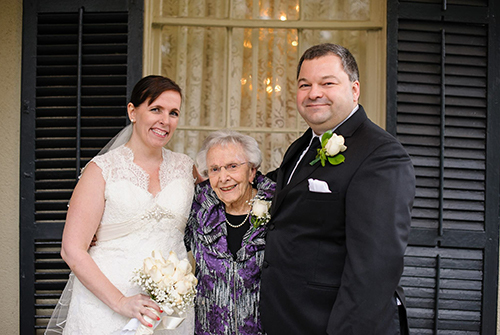 “My grandmother, particularly, really reinforced in me the values of kindness, generosity and providing for others, as she was always a great host for any holiday or event. That generosity extended beyond John’s younger years: While in college, although basic tuition and housing were covered through loans, grants and his employment at H-E-B, John’s grandparents were kind enough to also supplement his income with $200 per month. John’s grandfather also had a history of supporting education. In addition to having taught at The University of Texas at Austin, he funded a general scholarship not tied to any specific college. The impact of those scholarships was not really known to John or his family until about five years ago, when John’s mom met one of his scholarship recipients coincidentally. While visiting a family member in the hospital, John’s mom befriended one of the nurses and learned that she couldn’t have afforded nursing school without a scholarship she received. The nurse and John’s mom were both surprised when they realized the scholarship had, in fact, come from John’s grandfather. In 2018, John and his wife Valarie decided to create a scholarship of their own for students at Texas A&M University. John was inspired by his family’s own record of generosity, while Valarie, as the first in her family to graduate from college, felt called to help other students pursue higher education. With his grandmother’s 99th birthday coming up, they chose to name the award after her to honor the impact she and the rest of his grandparents had on his life. Born in San Antonio, John was the middle of three children. In deciding where to attend college, finances played a major role. At Texas A&M, he found an affordable university that complimented his beliefs and interests. “The fact that my best friend was headed to Texas A&M was a big factor in my decision as well—we got into plenty of trouble together,” he laughed. In 1991, John began his freshman year in College Station, where he spent his first two years studying to enter the medical field before changing to computer science. “At first, I was sure that I wanted to become a doctor, but I later realized my passion was in computers,” he said. During his sophomore year, he was encouraged to apply for an internship at Microsoft. “I assumed I had zero chance of being accepted,” he said. To his surprise, he was offered the internship and spent two consecutive summers as a student worker at Microsoft. “In my second year there, everything just clicked,” he said. “I had a phenomenal summer, and at the end of my internship, the team’s manager offered me a job. However, I decided to finish school before accepting the position here. Through their gift, the Sidney Helen Holmgreen Endowed Opportunity Award (EOA) was created. EOAs afford deserving students with an annual stipend during their four years at Texas A&M. In addition, the endowment provides for the long-term growth of the principal, allowing a single gift to provide for students for years to come, something that the couple was especially excited about. Over the long term, John does plan to establish more EOAs, but for now he’s glad he could honor his grandmother before she passed away in late September. “I wanted to do something for my grandma that I could tell her about and let it speak to how much she meant to me,” he added. 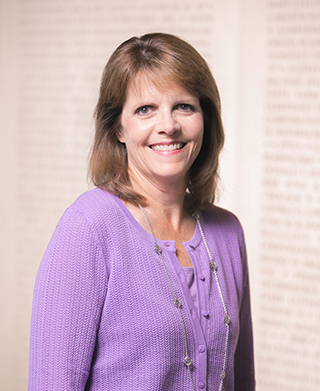 To learn more about creating an Endowed Opportunity Award, contact Marcy Ullmann '86 below.